As UCB marks 10 years in the UK with a special event at its research centre in Slough, Andrew McConaghie talks to chief executive Roch Doliveux about the company’s future. Ten years is a long time in the life of a pharmaceutical company, and it is increasingly rare for firms to have one CEO over a decade, such is the pressure of the job and the pace of change in the sector. UCB’s chief executive Roch Doliveux is nearing this milestone, and has succeeded in transforming the company over the period. Joining as head of its pharmaceutical business in 2003, then becoming CEO in 2005, he oversaw the company’s transition into a specialist drug company with the £1.5 billion ($2.4 billion) purchase of Celltech in 2004 and the €4.4 billion acquisition of Schwarz Pharma two years later. These acquisitions built the foundations of the company’s focus on the twin therapy areas of neurology and immunology. The firm has now emerged from the patent expiry of its old mainstay, allergy treatment Zyrtec, and the slow post-patent decline of epilepsy drug Keppra. UCB now has three core brands: Cimzia, for Crohn’s disease and rheumatoid arthritis (RA), epilepsy treatment Vimpat and Neupro for Parkinson’s disease. These three products are sustaining the firm’s current growth, but a new crop of drugs are nearing the moment of truth in the firm’s phase III pipeline. These could, if they all prove successful, transform the company’s future. Doliveux will in fact just fall short of the 10 year mark when he steps down on 1 January 2015; but this is all part of his plan for a smooth transition to a new leadership and a new era at the company. In February this year the Brussels-headquartered firm announced that it had selected Jean-Christophe Tellier, the company’s current head of Biopharma Brands and Solutions, to be its new leader from 2015. Speaking to the media in London shortly after the announcement, Roch Doliveux said the succession planning was timed to let Tellier begin work at the start of a new era at the company, based on a set of promising late-stage products. UCB has three products currently in phase III which are due to produce pivotal results in the next few years: brivaracetam for epilepsy, lupus treatment epratuzumab and romosozumab for osteoporosis. Doliveux says the late-stage triumvirate have the potential to be ‘transformational’ for the company – but also knows that these are high risk therapy areas, where phase III trials frequently fail to produce the clear signs of superior efficacy required today. This is particularly the case for epratuzumab, the drug for severe systemic lupus erythematosus (SLE), which has been in phase III since 2010. The results from the drug’s pivotal EMBODY trials will be released in the first quarter of 2015, and Doliveux says these will be a defining moment, if the results are positive. “In our pipeline this is our highest risk molecule,” says Doliveux, “because of the polymorphism of lupus” the wide variety of sub-types within the disease which makes it difficult to predict which patients, or how many, will respond to a drug. Doliveux is particularly aware of the pitfalls because of the commercial disaster that was GSK and Human Genome Science’s Benlysta (belimumab), the only other drug launched for SLE in the last forty years. Rejected by cost effectiveness watchdogs in the UK and Germany because of a lack of convincing evidence, the drug has fallen well short of commercial expectations, making just £146 million ($244 m) in 2013 and unlikely to ever hit the $2.5 billion in peak sales once predicted for it. The failure of Benlysta is deterring analysts from making forecasts on UCB’s drug, but strong phase III results should guarantee it peak sales in excess of $1 billion. UCB has tried to learn from its rivals’ mistakes, and knows that epratuzumab must produce more convincing results than Benlysta. “We’ve spent a lot of time in evaluating and engineering as robust as possible an endpoint in lupus, which has been a big issue for the previous molecule [Benlysta] which made it, but only with a value that lasts for only a few months. “So we’ve spent a lot of time engineering, and we’ll know when we get the results whether we’re right or not. If we are right, then the potential will be significant, because it addresses high unmet need in a severe disease,” says Doliveux. Also in the phase III pipeline is epilepsy treatment brivaracetam. The drug is closely related to UCB’s existing Keppra, but mouse studies suggested it was 10 times more potent in preventing certain types of seizures. If it can replicate this profile in phase III human trials, the drug could reach peak sales in excess of $500 million. The last of the triumvirate is romosozumab, the drug for post-menopausal osteoporosis being co-developed with Amgen. Analysts believe this drug could deliver sales in excess of $2 billion, but conclusive phase III results won’t be ready until 2016. As with most pharma companies, the emerging markets play a large part in UCB’s strategy for growth. However many companies are struggling to find the right strategy for the very different dynamics of these markets, where most of the growth is in high volume, low cost drugs. Doliveux says not many companies are following the severe disease strategy in emerging markets as UCB is. He says the fact that the company is sticking to the same focus in these regions as it does in developed markets is now paying off. Earlier this year UCB signed a major licensing deal with Biogen Idec to market all of the US company’s brands in Asia’s emerging markets, including China, by far the most lucrative. Biogen has a multi-billion dollar franchise in multiple sclerosis which UCB will now sell alongside its own neurology products, plus a number of future MS and haemophilia drugs currently in Biogen’s pipeline. Doliveux says UCB secured the deal because it has already established its reputation in Asia. During his tenure as chief executive at UCB, Doliveux has pushed the company to deepen its expertise in neurology and immunology – and at the same time, creating what he calls ‘networks and super networks’. These multiple collaborations and alliances with academic centres of excellence and other pharma and biotech companies is now becoming the established model for R&D, but middle-sized firms like UCB have to fight hard to establish links with the best partners when they’re up against big pharma competition. Asked if any of UCB’s promising pipeline molecules were discovered in its UK research centre in Slough, Doliveux says the idea of a drug being discovered in one place is now outdated. “Our biggest research centre is here in the UK, but more and more of our research is externally sourced. It is joint research: its Harvard, its Oxford, its Leuven in Belgium, its Duke University, Cornell. There is more and more research which is done jointly with universities and other companies. We sometimes think of research as bricks and mortar, but that is not the world of today. He adds: “[Osteoporosis candidate] romosozumab is a great example – you can say it was discovered in the UK – but it started with the university in South Africa with understanding this rare genetic disease that creates bone in this Afrikaans population. If you didn’t have South Africa, you wouldn’t have romosozumab. When quizzed on how well UK politicians comprehend this increasingly complex and international nature of pharma R&D, he says he sees a ‘genuine understanding’ of the importance of the biopharma industry. But he says there is also “an amazing disconnect”. Responsibility for tackling that question within UCB will fall to Doliveux’s successor, Jean-Christophe Tellier from January 2015, along with the task of steering the company into its next era. After January, Doliveux says he has pledged to leave the company’s board swiftly, aware that ex-CEOs remaining as advisors are usually seen as obstructive, or worse, irrelevant. One major project Doliveux has already committed himself to after stepping down is chairing Europe’s IMI for a second term. IMI is the Innovative Medicines Initiative, a public-private partnership between the EU and Europe’s pharma industry body EFPIA aimed at tackling some of the biggest challenges in medical research. The IMI has its own budget, and is shaping up as an exceptional ‘super network’ of alliances. Much like the groundwork done by Doliveux at UCB, the next few years will show just how successful a model this could be. Andrew McConaghie is an experienced journalist and pharmaphorum’s new Managing Editor, Feature Media. 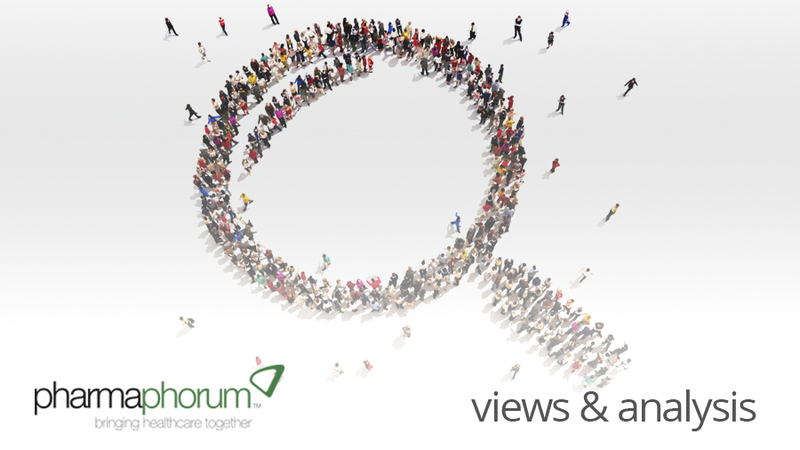 He has been writing about the pharmaceutical industry and NHS since 1999 and will be writing regular exclusive news and insights from the sector for pharmaphorum. Have your say: what is the best strategy for pharma in emerging markets?